I do like 'nice' things. You know, where somebody has gone that extra mile on presentation of something. 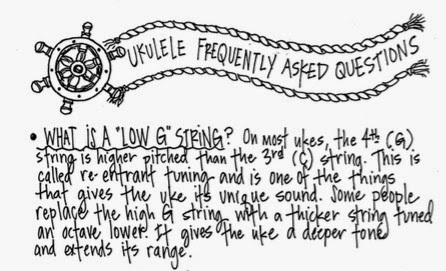 That's what immediately came to mind when I opened the new ukulele guidebook by Aaron Keim - 'A Ukulele Handbook For Beginners'. 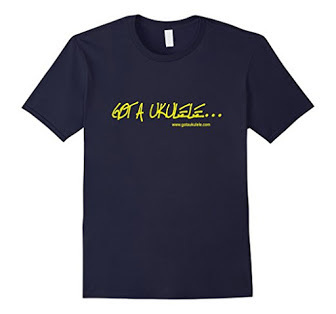 Aaron is one of those performers quietly but widely admired in ukulele circles. Quietly seems apt as Aaron performs with his wife Nicole as an act called 'The Quiet American' playing 'old time American folk music for modern times'. I'm not sure if he took the name from the Graham Greene novel (but I certainly hope so!).... Anyway, get back on track Barry. 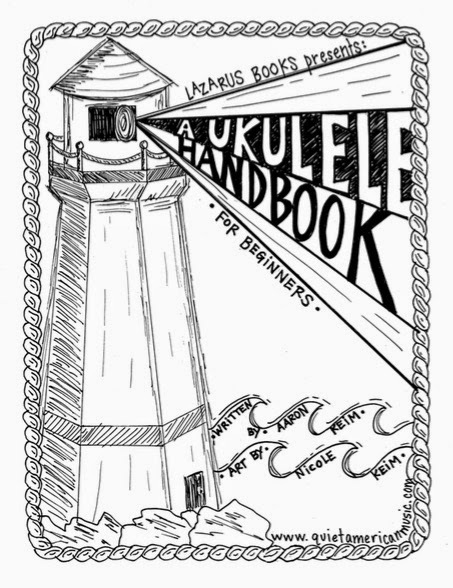 So Aaron and Nicole have put out a rather lovely looking ukulele beginners book (Aaron doing the writing, Nicole on the artwork) which has recently arrived with me to take a look at. And I think they did go the extra mile as it has a really nice 'feel' to it. 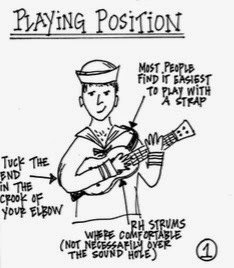 Ukulele handbooks by performers are nothing new, but I do always find it interesting to see how different performers do 'their take' on the genre. In this case, we have a book that oozes style and humour too. As I say above, Aaron is widely admired as a player, so it comes as no surprise to find the advice contained within it is sound. 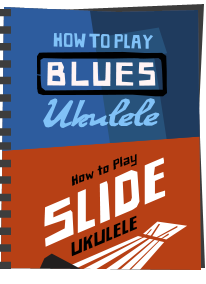 It's a beginners book so doesn't aim to teach 100mph shredding - but cover all the bases, chords, chord theory, scales and other interesting stuff such as 'frequently asked questions', uke history and much else. But it's the way it's brought together by a couple who LOVE music that shines through. For me, it's like picking up a musicians notebook or journal - delivered in a laid back, relaxed style and accompanied throughout by Nicole's wonderful illustrations (all with a nautical kind of theme). 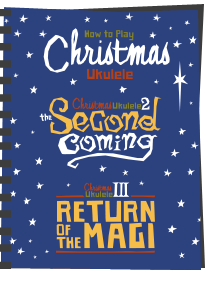 There are a good many song sheets in here too for you to work through. As a Brit, some of these came across to me as a little on the US side of things (I freely admit not knowing them all) but that's cool - all are great for beginners and I knew plenty of others. And of course - the selection fits with the 'Quiet American' ethos - American Folk of course! 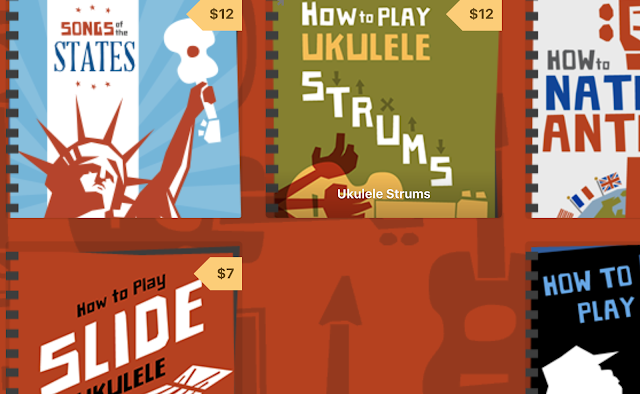 Even more helpful - all the songs come with tuition videos that you can download to help you along too! 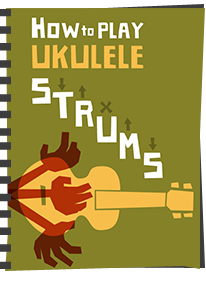 To sum up, it's a book that exudes their love for the instrument and is (in my opinion) a great option for beginners looking for a sound beginners guide. It oozes style! 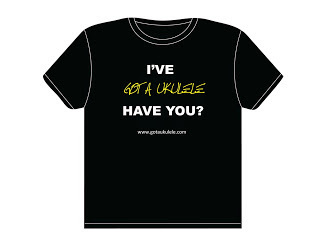 The Quiet American is also playing a small tour of the UK later this year, and will be one of the headliners at the Grand Northern Ukulele Festival in Huddersfield 22-24 May. 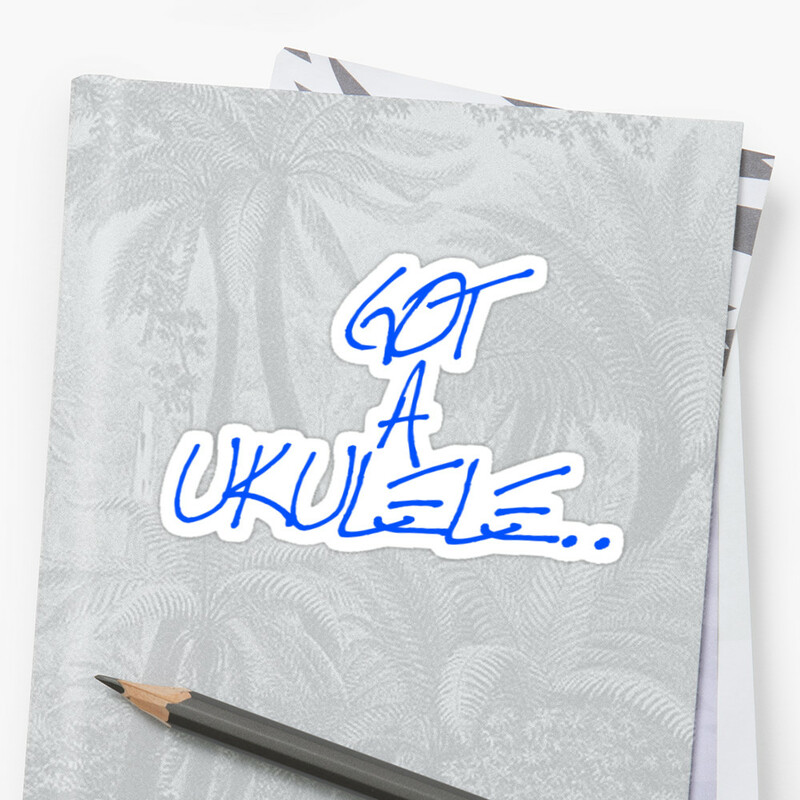 I am sure he will have copies available as part of his Merch!